An evening of art, song and learning with an introduction by Rabbi Arthur Green. 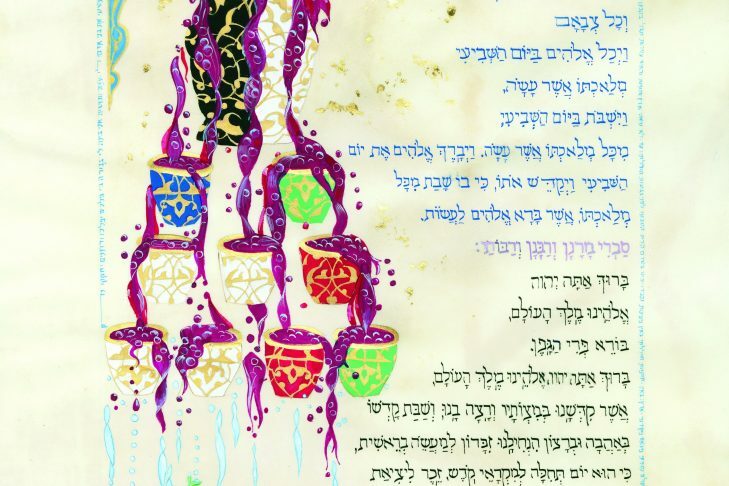 The evening will begin with a choral rendition of Lecha Dodi by an ensemble of students from the School of Jewish Music at Hebrew College followed by an engaging slide-discussion led by Band focusing on the beloved mystical traditions of the Kabbalat Shabbat traditions as captured in her stunning paintings. The event is co-sponsored by Hebrew College and Temple Beth Zion, Brookline.